A step-by-step guide on how to build a SaaS(Software as a Service) application from scratch to deployment! Building an application to provide business is tough. It's overwhelming. There are so many choices! What gems do you use? How do you manage users? What if there was a step-by-step guide to feed you those answers? This book will guide you from your very first rails commands, through integrating Stripe, background jobs and finally deploying your app to a cloud provider. You'll be mastering a SaaS application, getting customers and monetizing your expertise in no time! Worried the material won't help you build a complex application? I am currently running Pull Manager using the very same code and techniques from the book. Sick of all the simple tutorials? Done building your 4th blog app and 3rd chat app? Do you want to build an app that you can actually create revenue with? 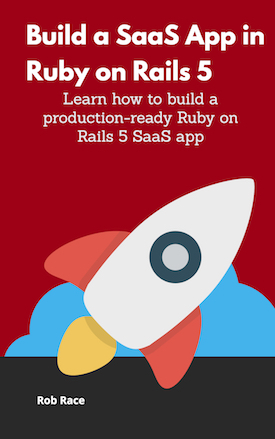 Build a SaaS App in Ruby on Rails 5 aims to guide you from tutorial apprentice to a SaaS app Wizard. 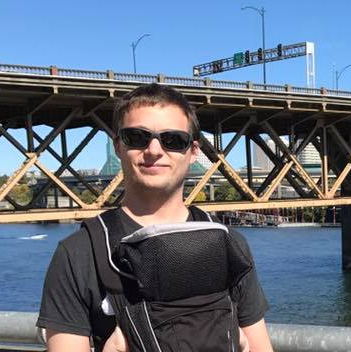 Wish you had an experienced Rails developer and SaaS founder looking over your shoulder to help make your decisions? Someone who has "been there, done that" multiple times? This is your chance! Learn right the first time and write efficient, concise code to ship your application fast! One thing you might notice in other programming books is that you will be building a storefront, Twitter Clone, or some other toy app. Record tasks and blockers daily. Email reminders and email daily recaps. Have multiple plans and collect monthly subscriptions. No BS. No Fluff. Even if you don't release this app, every business could use a Daily Tracker. So can yours! At its current rate, the book should end around about 600+ pages of instruction, tips, code samples, and exercises. This book does not skimp on details or code samples! Throughout each chapter, you will be presented with exercises to test your knowledge or build some code on your own. Cheat Sheets to keep common methods, classes or tips right at the tip of your fingers. The first seven chapters will lay a foundation for building an application in Rails. Including testing, conventions and how it all fits together. 2. Testing and You: Why is testing important? What are the different types of tests? What is CI? 4. Users are Everything: Start by creating a user model and table. End with a tested user management system. Including Devise Authentication, Friendly URLS, User Invites and more! 5. Business Models and Logic: Create other resources that users will interact with and understand how they're all related. 6. Service Objects: Learn how to use Service Objects when there is too much business logic in your controllers. 7. ActiveJob and Sidekiq: Understand where background tasks fit in. Then learn how to create use and manage these jobs through ActiveJob and Sidekiq. The latter half of the book will deep dive into specific parts of a Rails application such as background jobs, email, WebSockets and taking payments. 8. Mailers and You: A deep dive into the Rails ActionMailer system. From mailer generation to corner cases in email rendering. Want to parse replies? That's in there too! 10. Stripe Payments and Subscriptions: You'll be building a payment system through Service Objects that will allow you to plug in most payment systems. This chapter will guide you through using Stripe, working with Webhooks and how to safely handle payment activity. 11. Third Party Integrations: Nearly every SaaS application will need to interact with some third party API. You'll be connecting to GitHub to learn how to authenticate with those APIs, accessing their data and receiving Webhook Activity. With Analytics you will want to know what your users are doing within your application. What analytic provider should you be using and how do you implement them? 12. Speeding up Rails: It's not all unicorns and rainbows when your application is now built out. Here you will learn where to avoid common pitfalls that slow down your application as well as ways to cache information. 13. Deploying: With your application ready for the world how will you deploy it? This chapter will guide you through a few different deployment options(Heroku, Elastic BeanStalk), how to set them up and their pros/cons. Source Code Access for example app with commits that following along with the book. Minor updates to typographical or code errors. Chapter exercises to test your knowledge or build some code on your own. The book and all extra content is created and finished. I am not a perfect writer and am continuously fixing issues and errors. Enter your email address and I'll send you a sample PDF a sample of the material you will find in the book! Yes, Gumroad's payment system allows you to use PayPal right on the form. When you get to the payment widget, there is a paypal button on the upper right corner. Will there be any extra material? Yes, depending on the package you choses you will have extra access to cheat sheets, source code respotories and more! What format will the book be in? Currently working with a tool that outputs PDF, ePub and .mobi format. I don't want you to resent me for taking your money with a product you don't like. Just email me and I'll get a refund for you. No time limit.